Jon Seagroatt: woodwind and percussion. I’ve played flute and percussion (and lately soprano saxophone) with Comus since their reformation in 2008. 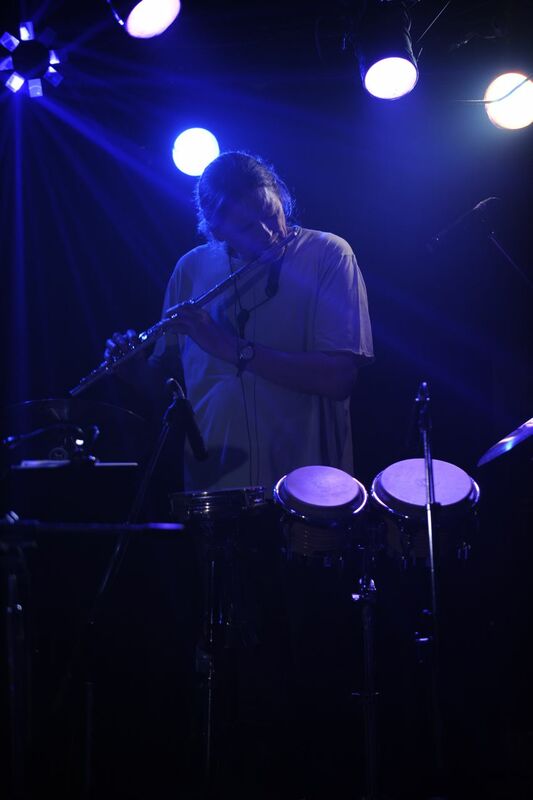 Comus’ original flautist / percussionist, Rob Young, chose not to re-join the five other original members in the reformed band. As my wife, Bobbie Watson, was herself a ‘First Utterance’ original, I was the obvious choice for the vacant post……. As well as playing with the band live, I’ve also handled all of their recording and production side, including for the new album ‘Out Of The Coma‘. Jon’s own website is here.